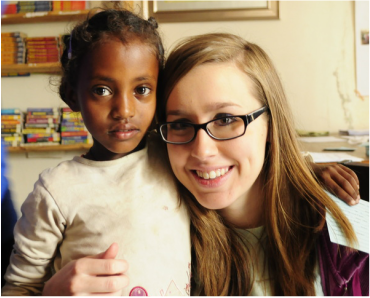 True Light Childcare Project in Addis Ababa, Ethiopia. TLC serves over 230 at-risk children. Some of the children are orphans that are being raised by extended family members. All of the children live in poverty. Your support will provide an education and basic healthcare for your child and food supplements to the child's family. TLC is an independent & locally registered NGO. 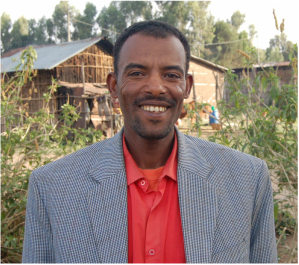 Only $70 per month to support an indigenous missionary family in Ethiopia. $65 goes directly to the missionary, and donors are encouraged to give $5 for administrative costs. Most of the ministers supported through IOI live and minister in the countryside where the average income is less than $1 per day for subsistence farmers, but your support will ensure meals year-round and provide funding for ministry. Ministers are members of locally registered churches. WHAT IS AN NGO AND WHAT DOES IT MEAN THAT TLC "LOCALLY REGISTERED"? As in any modern nation Ethiopia has agencies of the government that are tasked with oversight of non-governmental agencies (non-profits) and particularly organizations that work with children. NGOs must submit to local laws and regulations, and their financial records are audited. TLC is an independent locally registered NGO (non-profit) that is solely administrated by locals. TLC has been recognized by local and national government as a model independent NGO. An NGO is basically a Non-Governmental Organization. In the USA we call such agencies and organizations "non-profits." IOI is recognized by the US IRS as a 501(c)(3) tax-exempt organization. We do not have offices or staff in other nations, rather we work with and under locally registered churches and non-profit organizations in the nations we serve. In short, IOI partners with TLC and other locally registered organizations by providing grants for their programs. ﻿Our sponsorship programs are designed to facilitate a safe, transparent and responsible relationship between the sponsor and the missionary family or child that you sponsor while abiding by local and international laws. We do not "hire" ministers but rather support ministers who are serving through legally recognized local churches. CAN I COMMUNICATE WITH MY CHILD OR MINISTER? We encourage you to write to the person you sponsor and send them a family photo of yourself so that they can pray for you. Within a few weeks of registering to sponsor a child you should receive a packet of information that contains a biography and photographs to help you get to know your new friend. Please keep in mind that we are a very small organization and our resources are limited. We try to communicate with updates twice per year and we encourage you to send a card at Christmas. All correspondence should be sent to PO Box 10173, Jackson, TN 38308 and will be couriered to the recipient. Accountability and integrity are hallmarks of the ministry of IOI. Over the years we have striven to maintain our donors' privacy. While many of the children now have access to the internet and cell phones we discourage electronic communication with them in preference to communication with them in writing through our office. This protects your privacy and security, and enables us to translate communications into the local languages if desired. While you are certainly free to communicate directly with your sponsored child we will have no way of protecting your personal information from scam artists who harvest addresses and contact numbers if you choose to do so. Some of the ministers we partner with are now utilizing social media. Our partners will NEVER ask you for funds using social media platforms or email. We encourage extreme caution when using social media so that you will not become a victim of fraud. If you are contacted by someone claiming to be your child know that it is fraud. If you receive an "urgent" email asking for travel or emergency funds -- this is fraud. IOI maintains emergency funds for true emergencies on the field. No one associated with IOI would ever contact you by email, phone, or social media and ask you to wire or transfer funds overseas. CAN I VISIT THE CHILD OR MINISTER I SUPPORT? We absolutely encourage visits! Once a year TLC hosts a Sponsor's Visit where sponsors can meet the child and family that they have partnered with. There are also opportunities for special teams to visit for educational purposes throughout the year. Contact Anna Worley for further information. In addition to TLC themed trips IOI also offers a variety of opportunities to visit and participate in the work on the field. Visit our Volunteers page for more information. CAN I SEND GIFTS TO MY CHILD OR MINISTER? Yes, we actually encourage you to send extra support to your child for Christmas and at the beginning of the school year. We will contact you with an opportunity to give extra gifts twice a year. We no longer courier packages to Ethiopia, but we will deliver large envelopes twice a year. We ask that you limit extra monetary gifts to a maximum of $20 unless otherwise suggested. However you are welcomed to make extra contributions to TLC as a whole to help provide for unsponsored children. IS THERE ACCOUNTABILITY FOR FUNDS? 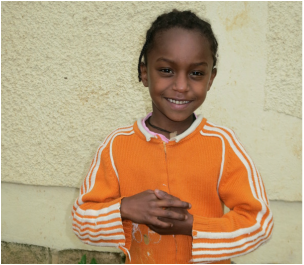 The TLC program is registered with the government of Ethiopia as a non-profit organization. They are required by law to be audited annually and expenses must be in line with strict government regulations. A copy of this audit is always available to anyone who requests it. We also produce an annual report Stateside to explain in detail how the money was spent. For the minister we support we also have signature forms on file in Ethiopia when the funds are received by the minister. Each minister is required to be under local authority and accountable to those authorities. HOW MUCH GOES TO THE CHILD? Unlike the missionaries, who directly receive their support, the children in the TLC program do not generally receive cash. Their support goes to pay for education expenses, healthcare, and to provide for food subsidies. 90% of the funding benefits your child with the remainder providing for children without sponsors. HOW MUCH GOES TO THE MINISTER? 100% of designated funds goes directly to the minister. If you choose to add additional funds to help cover our costs and ministry it is greatly appreciated with a minimum of $5 suggested donation for administration. WHAT IF I CAN NO LONGER SUPPORT MY CHILD OR MISSIONARY? We understand that situations change and you may need to discontinue your support. We ask that you give us as much notice as possible so that a new sponsor can be found. We need a minimum of two weeks notice to stop auto debits. Monthly support is paid through auto debit from your checking account. This system is provided to us virtually free of charge so it maximizes the impact of your giving. It is a safe, easy, and convenient way to give. You can stop the debit at any time by notifying us in writing. Debits are made once per month. Paying by credit card or PayPal is possible, however we incur fees of 3% to 15% of your gift. Annual supporters may pay by check or credit card, however we ask that you add an extra $5 to cover credit card processing fees.